Best Illustrator award from Mollie Makes! Crazy excited to announce that the lovely team at Mollie Makes and their incredible judging panel selected me as their 'Best Illustrator' 🙊 I am bowled over and SOOOO grateful!!! I Had a little fizz to celebrate and may have got a bit emotional throughout the whole experience! 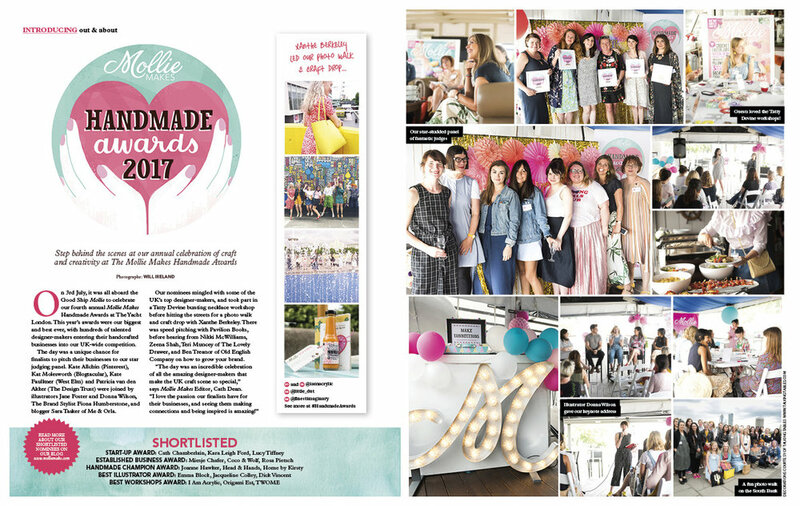 🙈 BIG THANKS to the Mollie Makes Handmade awards! Click here to read all about it and to see the other winners!! My beautiful screen printed Award! Catherine Dean Editor of Mollie makes and the other winners! All content © Jacqueline Colley 2019 unless otherwise stated. Any and all Copyright infringements will be taken seriously.